Here at 5 Point Auto Spa we understand how important it is to keep your car’s paint protected. If you’ve been searching for the best auto detailing Carlsbad CA has to offer, than you’ve found it here at 5 Point Auto Spa. 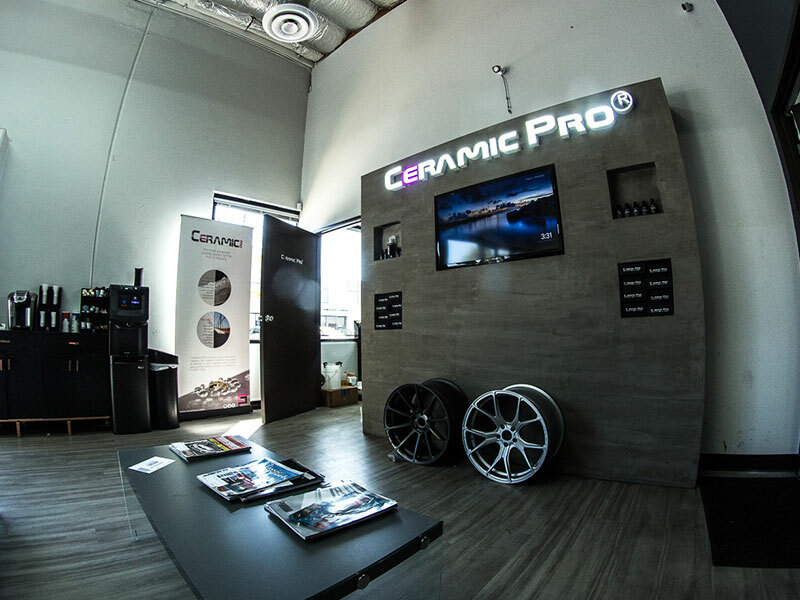 We love our vehicles so why not keep them looking their best with Ceramic Pro. Ceramic Pro is hands down the best paint protection in the automotive industry. Our technicians take great pride in providing you with the absolute best service. We treat every customer like family. You can guarantee your car will be taken care of with our expert staff at 5 Point Auto Spa. We specialize in auto detailing, Ceramic Pro installation, paint protection film and window tinting. Adding Ceramic Pro or Clear Bra (PPF) to your vehicle will ensure that it is protected from the elements out on the road here in Carlsbad. After adding a ceramic coating or paint protection film to your vehicle, you will drive away knowing your car is protected from scratches, rock chips, dirt and debris and maintenance will become a breeze with Ceramic Pro’s hydrophobic layer that causes dirt and grime to slide right off. Your search for auto detailing Carlsbad CA ends here with us at 5 Point Auto Spa. Come see us today and find a package that will keep your car looking its best. When it comes to paint protection, we strive ourselves by using the best performing products in the industry. Ceramic Pro 9h is the most durable paint protection in the business and will preserve your vehicle’s surface in even the harshest of elements. The Clear bra film layers onto your car invisibly and that is superior in protecting your vehicle’s paint. At 5 Point Auto Spa, we know how important maintaining the value of your car is to you. That’s why we are experts when it comes to paint protection that lasts. You spend a great deal of money on your car, keeping up with regular maintenance and care, so why not be proactive to guarantee your car looks its best by protecting its paint. 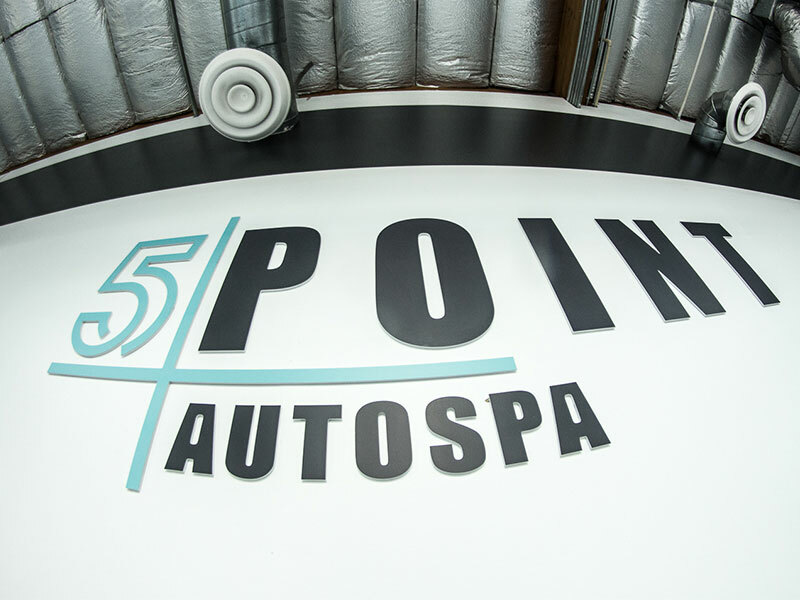 When it comes to paint protection, our technicians at 5 Point Auto Spa here in Carlsbad, know it like the back of their hand. If you’ve been searching for the best auto detailing Carlsbad CA has to offer, than look no further. Driving on the road, your vehicle will be exposed to the outdoor elements causing scratches, rock chips, dirt and debris sticking the exterior of your car. Adding a layer of paint protection to your vehicle can ensure your car stays looking its best and will maintain its value. We specialize in installing Ceramic Pro and Clear Bra paint protection film to protect your vehicle for the long haul. All our packages come with manufacturer warranties and we personally guarantee providing you with the best quality service available in Carlsbad. If you’ve been thinking about adding paint protection to your vehicle, now is the time. We have a package for everyone. If you’d like to try paint protection and upgrade from waxing, our Ceramic Pro Sport package comes with a six-month warranty and is an excellent value. If you want to protect your vehicle for a lifetime, our Ceramic Pro Gold package is an excellent option to keep your vehicle’s paint protected for life. Our team is committed to taking care of your vehicle and want to make sure it stays looking its absolute best. Our staff is highly training in paint protection and we stand behind our work. Come see us to protect your vehicle’s paint and keep it in tip top condition.